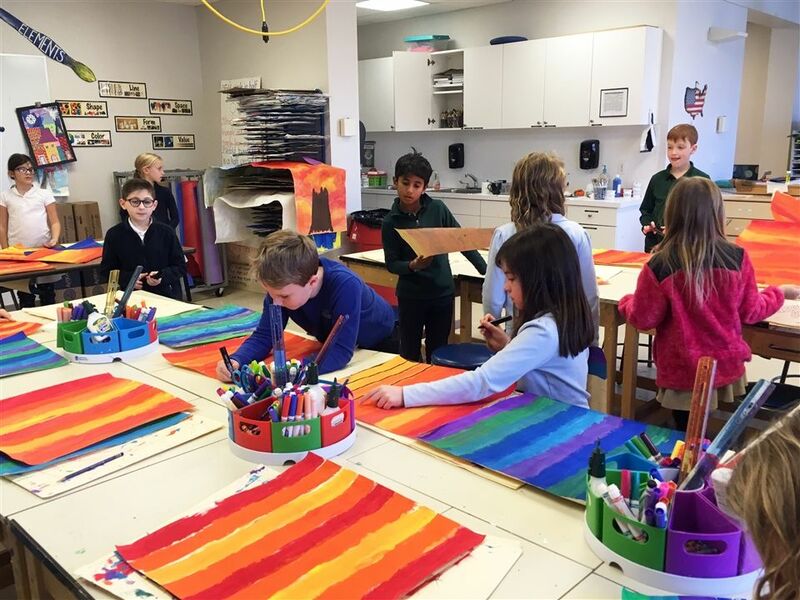 A walk through the Lower School hallways is always inspiring: mitten trees, calligraphic letters spelling out “kindness” and “friendship,” the faint hum of classroom activities in the background, and lots of bold, colorful, and joyful artwork. 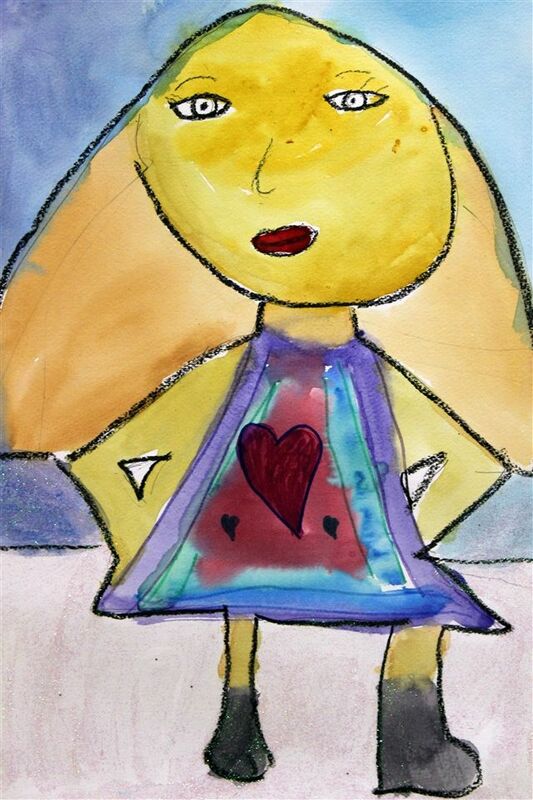 On a recent visit, we checked in with Lower & Middle School art teacher Bonnie Frith to learn more about the newly-completed works from students in grades 1-4. 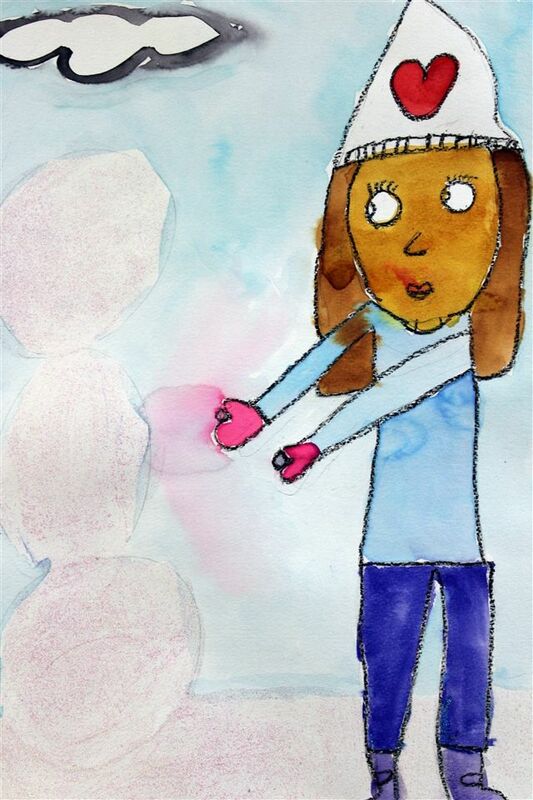 The first graders had created winter-themed self-portraits, using watercolors and acrylic glitter glaze, that showed the students engaged in their favorite snowy activities. 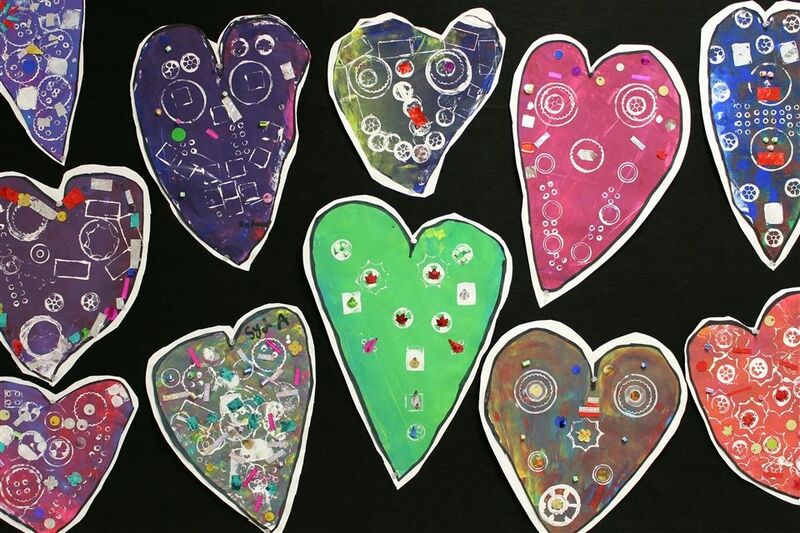 In a similar way, when students created hearts inspired by the those of pop artist Jim Dine, they were experimenting with using various media and processes, such as spreading paint with a brayer, to create texture, depth and balance. 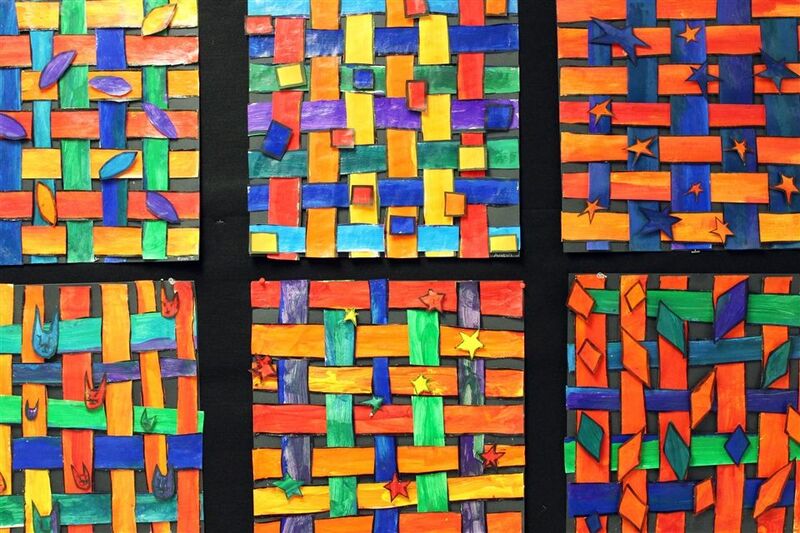 With the third-graders, Frith introduced the technique of weaving and the idea that weaving does not have to be limited to cloth. 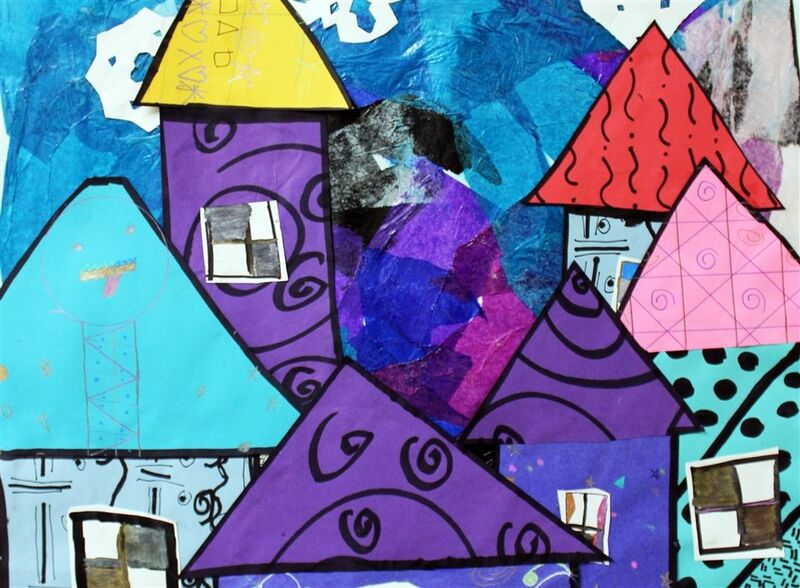 The students began by painting sheets of paper, which they then cut down into measured strips. They then wove the strips, added detail and dimension by gluing on different sized shapes, and applied a finish coat of acrylic glaze. 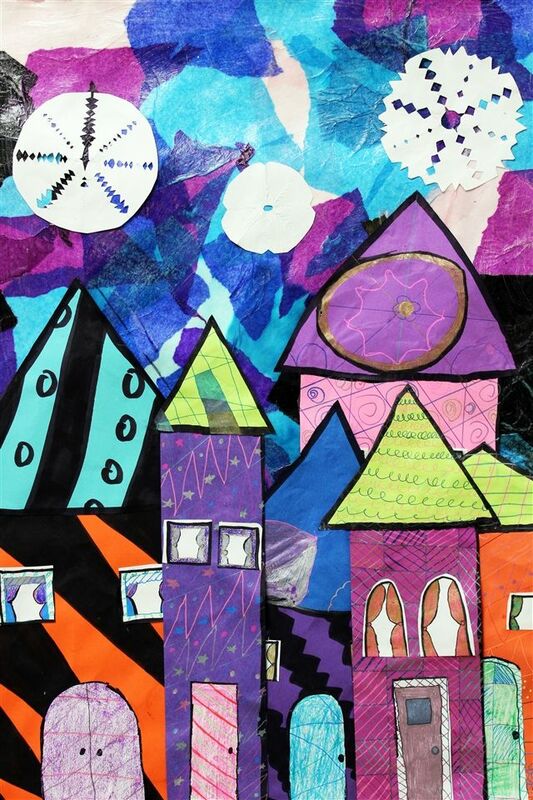 Fourth-graders immersed themselves in attention detail; spending hours completing beautiful, layered cityscapes. 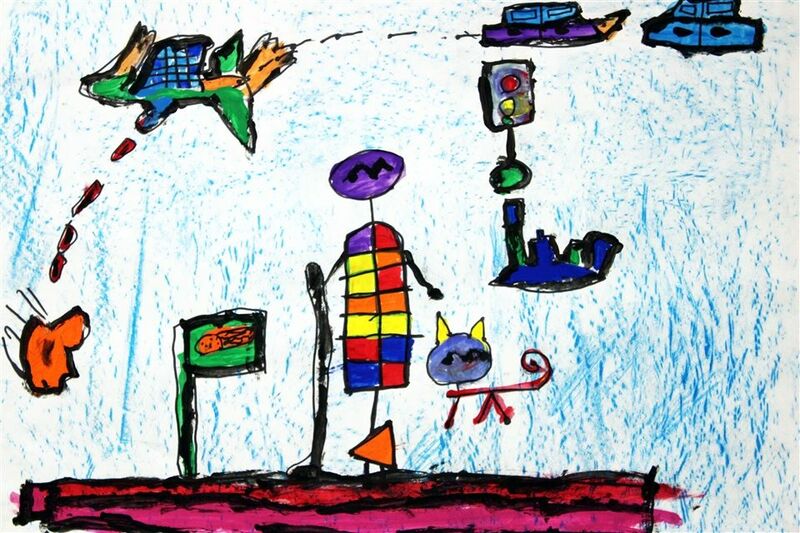 If you have not had a chance to see some of the student work in person, artwork from all of our grades remains on display in the Performing Arts & Community Center and Founders Hall through the winter.